Last week me and Lucas were invited along to a North West bloggers meet up organised by Frank Pr on behalf of growingupmilkinfo.com. I was very excited that it was being held in a pottery studio in Sale, the lovely Minkin Emporium. 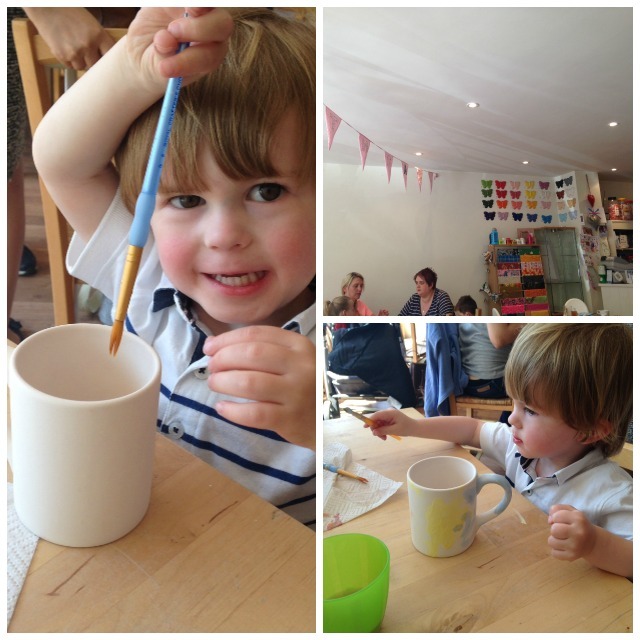 I had a chance to try my hand at pottery painting earlier this year and have been itching to have a go with Lucas. However, it’s fair to say I was pretty nervous; I wasn’t sure how he would be let loose with paints and pottery but everything was brilliantly organised. 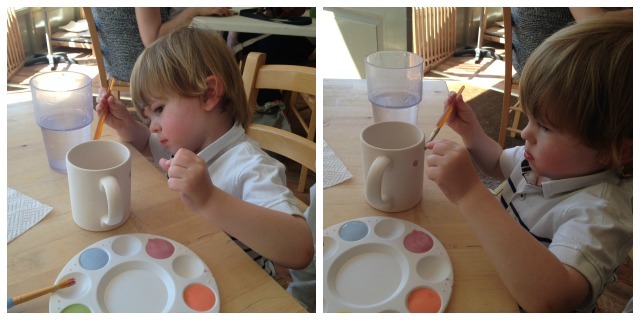 We had a limited number of paints on our table (we could ask for more if needed) so he couldn’t go too crazy, extra large t shirts were provided for our little artists to limit the paint damage and a they were able to paint away to their hearts content on a blank pottery cup. I was really impressed with how smoothly it all ran, Lucas actually really got into it and I may have helped out just a little. Other than letting our creative side out it was also great to meet up with some lovely bloggers with their little ones and I personally loved being able to spend an afternoon just me and Lucas, things have been pretty hectic since the twins were born! 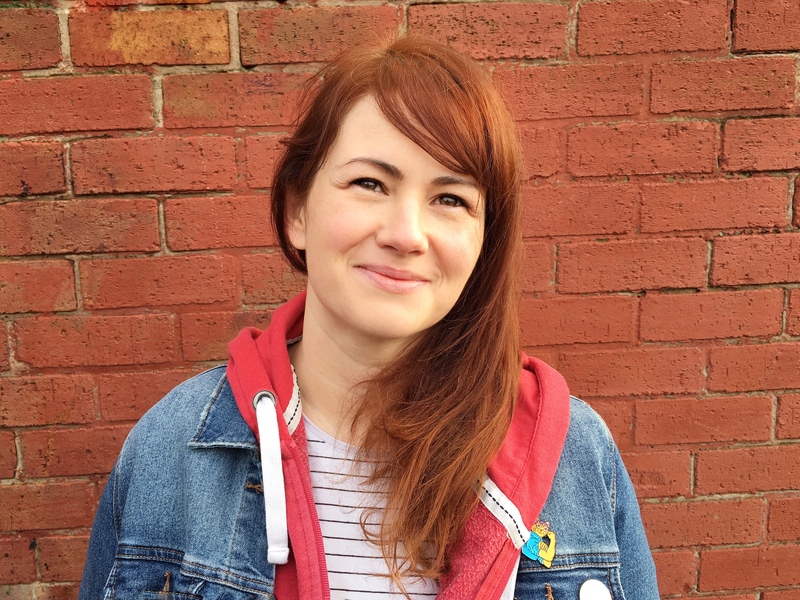 I also had a chance to chat to Katy from FrankPR and I learnt more about growingupmilkinfo.com. The site is designed to inform parents about toddler nutrition, answer questions and offer advice. We had a great day, got treated to a delicious healthy buffet lunch and we are pretty excited about receiving our finished mug!